The only Supercharged production motorcycle, Kawasaki’s amazing, incredible and eye-wateringly-expensive H2 Carbon is being built for 2017 – just 120 examples, and we don’t know if any are coming to Australia yet. 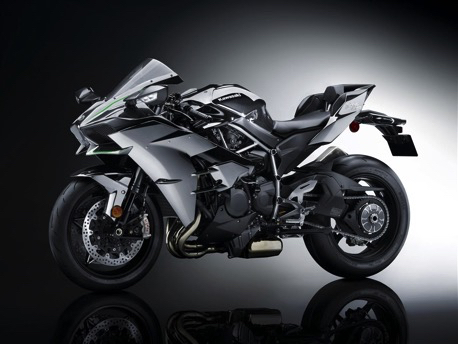 While here at Cycle Torque we always wondered if Kawasaki’s supercharged machines would evolve into something more mainstream or disappear like turbocharged machines in the past did, it looks like Kawasaki’s desire to produce high performance hardware hasn’t diminished. The new model look incredible in its angular styling. The new model, with a carbon-fibre upper fairing, looks purposeful and futuristic. The standard H2 has also received an update, with an up-and-down quickshifter, Öhlins rear shock and fancier electronics, including a bank angle sensor in the display. In this video former Australian Superbike Champion Shawn Giles cuts a hot lap of Queensland raceway on the new Suzuki Hayabusa.